Facebook often sees passing viral content and the latest in date is off to pulverize all previous records. It must also be said that this video has it all because it shows … a gray extraterrestrial worthy of the best episodes of X-Files. This is of course a fake. If you have logged into Facebook this weekend, then you may have seen a funny video showing a balding humanoid creature lying on a makeshift mattress. 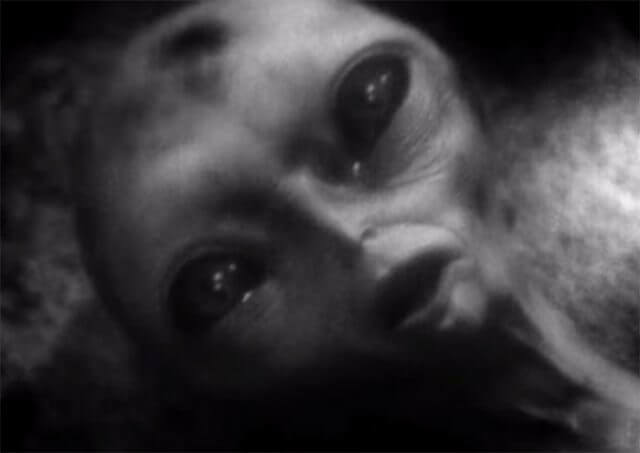 No, this is not an alien. The creature in question looks very much like the little gray present in many science fiction works. Especially in X-Files. Fascinated by the astonishing spectacle, many Internet users began to react to the publication and to share it in turn. The phenomenon quickly gained momentum and the sequence was later relayed by some media and some YouTube channels specialized in ufology and strange phenomena. But here it is, the video in question is not new and it turns in reality for some years on the web. As Scott Brando, publisher of the UFO of Interest website, recalls, the video in question was posted on November 7, 2015 on a popular YouTube channel: MeniThings. If this name is not completely unknown to you, this is normal because this channel was founded in 2006. At first glance it seems to specialize in extraterrestrials and unexplained phenomena, but the reality is quite different. Indeed, the channel in question was founded by the studio of the same name, a studio born in 2000 and specialized in everything related to special effects and computer graphics. The studio in question does not hide from elsewhere and it has its own website , a site on which appear several videos from his channel. Aristomenis Tsirbas, the founder of the company, has a solid experience in CGI since he worked on Titanic and several commercials for Coca-Cola, 7up or even Nike. Still, the videos of MeniThings are regularly pointed out by debunking specialists. Snopes, in particular, quoted the channel in September following the broadcast – still on Facebook – of a video showing an airliner running a loop over an airstrip . Dan Evon then recalled that the creator of MeniThings had a penchant for special effects and computer graphics. However, this did not prevent the video from reaching 2.5 million views and being taken up by several media.